Solivita! 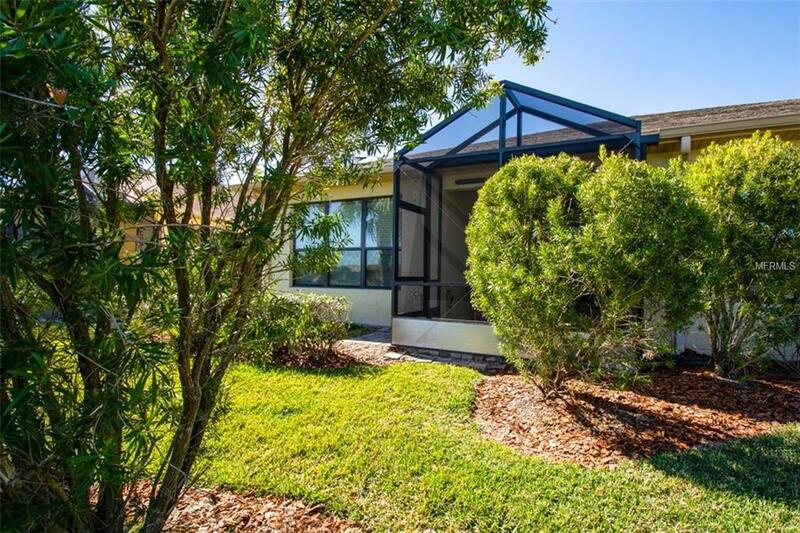 This terrific 2 bedroom, 2 bath with study Avellino Model is well appointed and has a beautiful pond view! 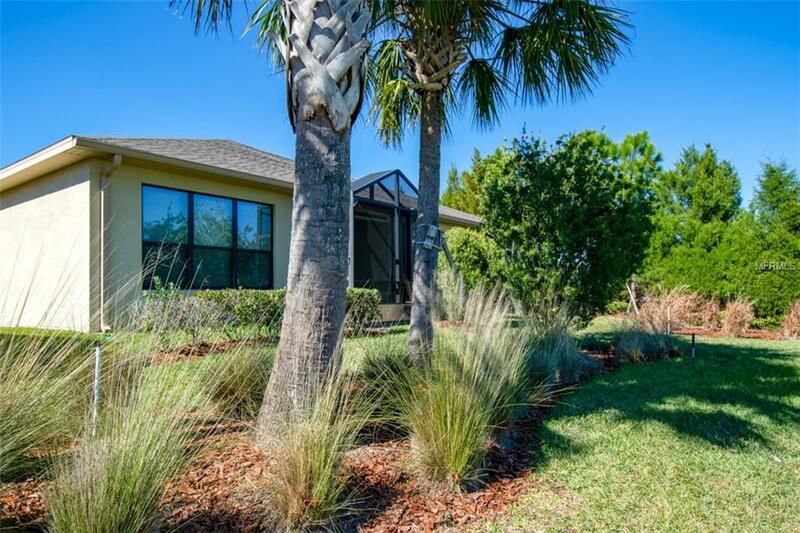 Built in 2013, this home has a gated entry that leads into a front courtyard outdoor living area, followed by a covered vestibule leading to the interior living space. virtually walk through this home by clicking on the Matterport 3D tour! Upon entering the home there is a large den to the left with a large entry and to the right is the guest room, laundry room and a full bathroom with a tiled tub/shower combination. Straight ahead is a full kitchen to the left with large island, upgraded sink and faucet, glass tile backsplash, private formal dining area and a spacious great room. The extended and screened lanai feels private and has a calming water view. The Master Suite also enjoys the view and includes a walk-in closet, tiled shower and dual sinks. Counter surfaces in this home are upgraded Corian. The flooring throughout is neutral ceramic tile. There is custom paint throughout. You will love the feel of this well maintained home! 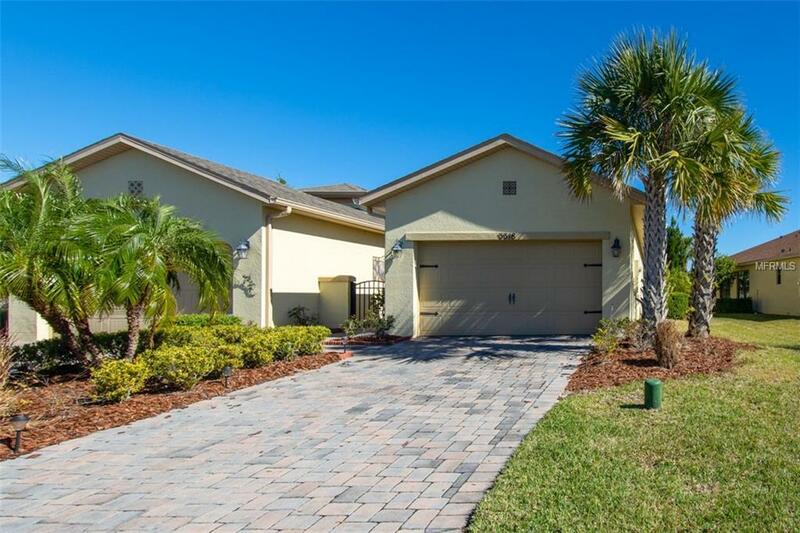 Situated close to the village center and easy entry and exit into the community. 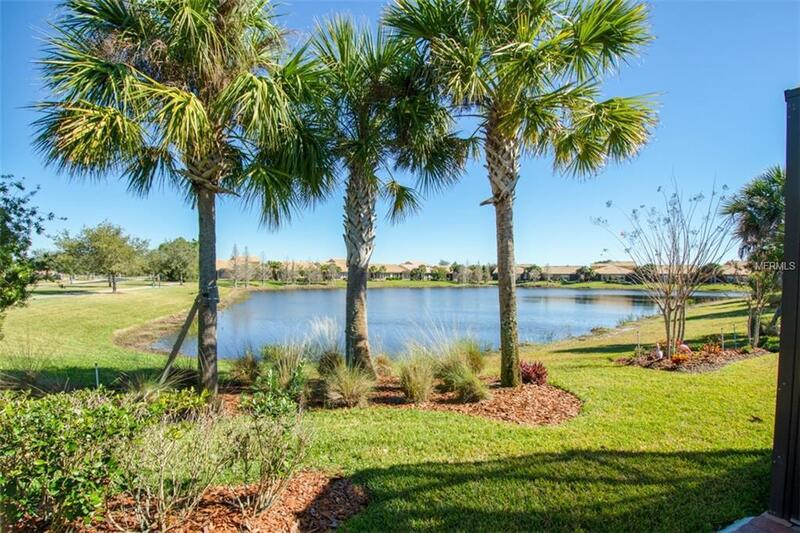 Come enjoy the good life at this resort style community with 2 golf courses, 2 huge amenity centers, 3 restaurants, concierge, guard gated, 14 community pools, over 250 social clubs to join and so much more nestled on over 4200 acres of natural beauty!